North East branch AGM and training event - "Pensions, profits and progress!" 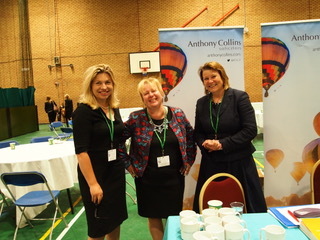 North East Branch Northern Legal Conference a huge success!! 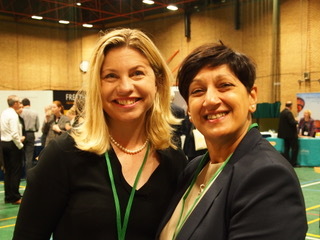 Attendees, including LLG President Suki Binjal and Chief Executive Deborah Evans, herald the success of our Northern Legal Conference. 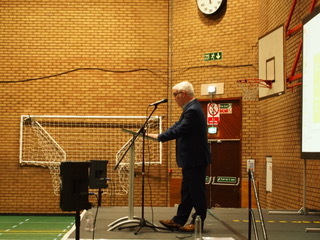 The biennial event took place at Gateshead International Stadium on Thursday 14 June 2018. The branch are delighted to report on the success of our Northern Legal Conference, which took place last Thursday (14th June 2018) at Gateshead International Stadium. 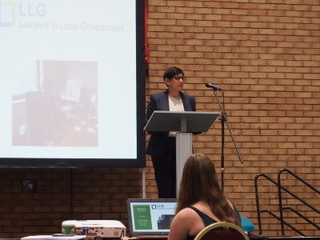 Guests included LLG President and keynote speaker Suki Binjal and our new CEO Deborah Evans (both photographed above), along with Michael King, the Local Government Ombudsman, and HHJ Gillian Matthew. 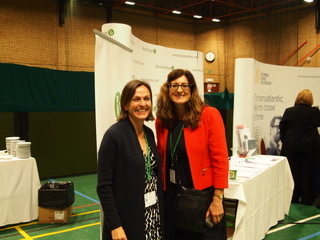 Also in attendance were prominent local government lawyers such as Olwen Dutton and Judith Barnes, who joined exhibitors and speakers from a range of leading law firms. 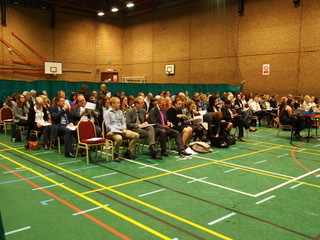 Well over 100 local authority delegates were also present on the big day, some of whom had travelled from as far as Doncaster and Newark and Sherwood! "They need to be experts in developing new service models, supporting agile governance whilst establishing effective risk frameworks…. " On LLG, Suki commented that the organisation comprises 97% of all councils, has a vibrant membership and that initiatives were under way to improve its members services. She introduced the new LLG CEO, Deborah, who was attending the conference and looking forward to meeting members in the region. 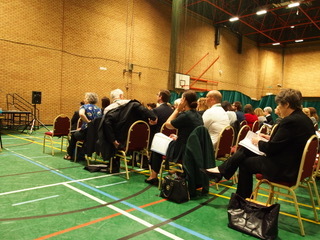 Throughout the day delegates had the opportunity to hear specialist presenters on a range of "breakout" topics; from child protection to planning law; GDPR; property; employment and much more. The Sponsor's Village proved very popular, delegates taking the opportunity to avail of the free goodies on offer (including some snazzy umbrellas for the North East rain!). When the 16 breakout sessions had ended, the presentations concluded with a session from Olwen Dutton on commercialisation and trading. Olwen stressed the importance of sharing ideas concerning the effective operation of new models and of working operating 'outside the council'. 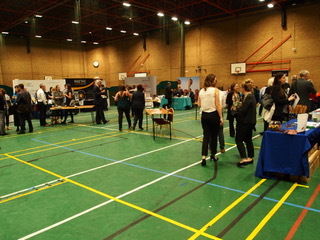 The event then ended with a prize draw. All in all, a fantastic day which has received excellent feedback from both delegates and our external partners and sponsors. 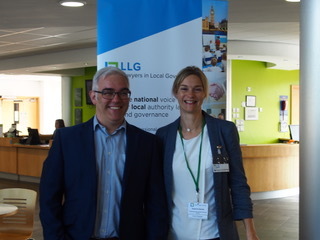 "I am looking forward to working more closely with LLG as it has significant influence in local government, particularly on governance and compliance issues; I am confident that, through its professional network, the opportunity can be taken to share 'learning points' as councils continue to operate in challenging environments." "We strongly support LLG's conferences both nationally and regionally. The North East particularly has a strong and vibrant network. It is a pleasure to meet up again with colleagues and share our experience acting for authorities across the country." '"I look forward to LLG's conferences for their unmissable opportunity to network with colleagues. Nobody does it better." 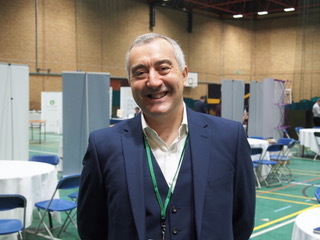 Amongst our local authority delegates, Luke Swinhoe, Head of Legal Services (Darlington BC) said that "networking" with colleagues was for him a "major attraction" of LLG events. Jayne Sharpe, a Solicitor at Durham City Council, said she "especially enjoyed the talk on State Aid and Brexit…very knowledgeable and authoritative". along with all the branch members who helped out on the big day. Thanks must also go to Dennis Hall, former branch secretary, for his kind assistance in providing content for this news article. We look forward to seeing you all again in 2020! In the meantime, stay posted for some further training events your branch team will be putting together in the months ahead.